Merry Christmas! 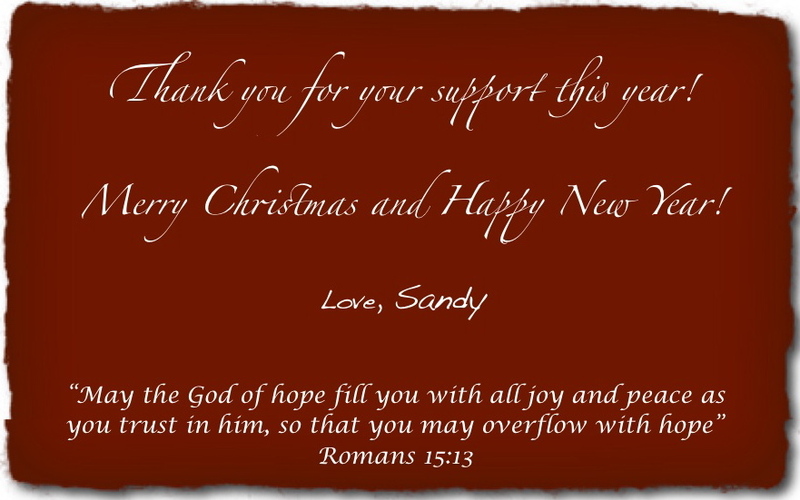 Thank you for all your support this year! Thank you again for all your support this year. You have truly brought joy and challenges to my life and has made it more exciting! I have truly enjoyed the development of some friendships and the stories behind all the cakes you ordered. 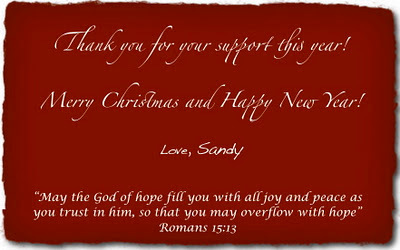 May God bless you and may you know the true peace, hope and love that comes from Him! Enjoy a little video I put together.